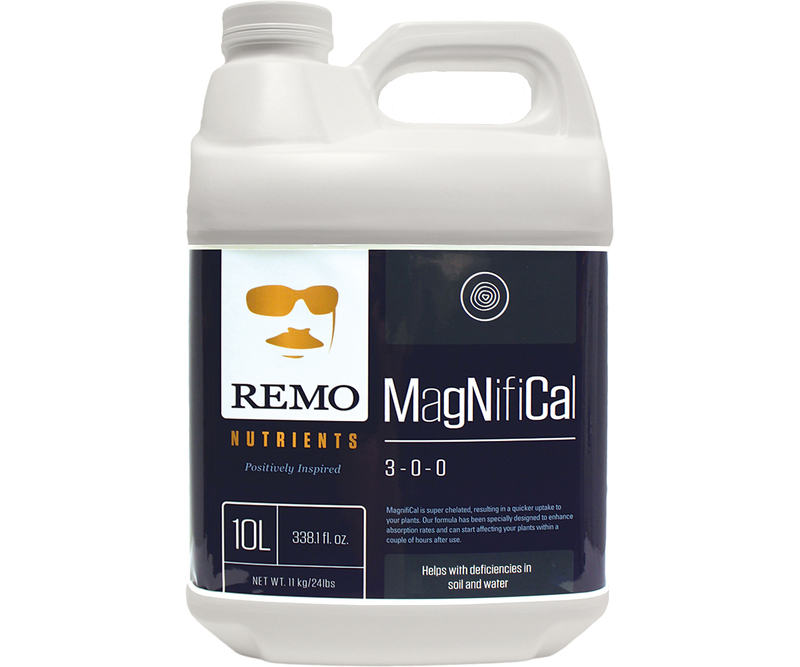 MagNifiCal is super chelated, resulting in a quicker uptake to your plants. 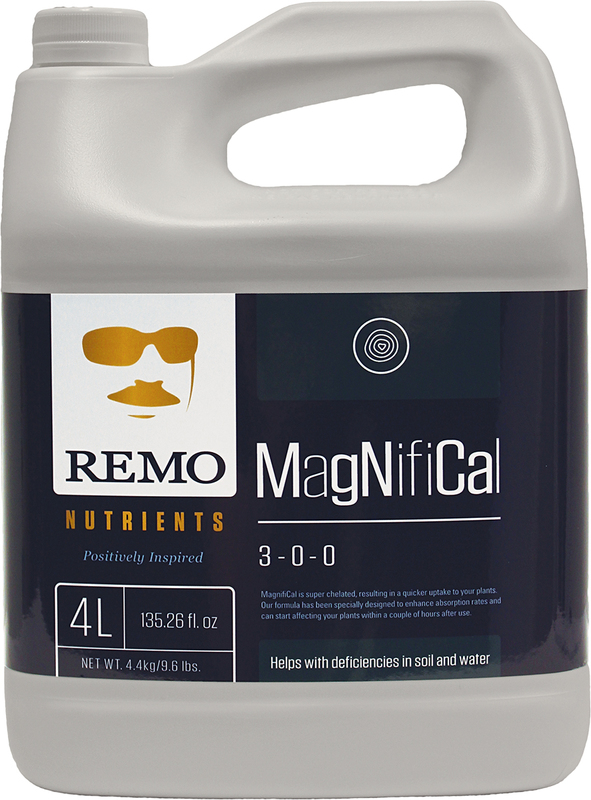 This formula has been specially designed speed up absorption rates and can start affecting your plants within a couple of hours after use. 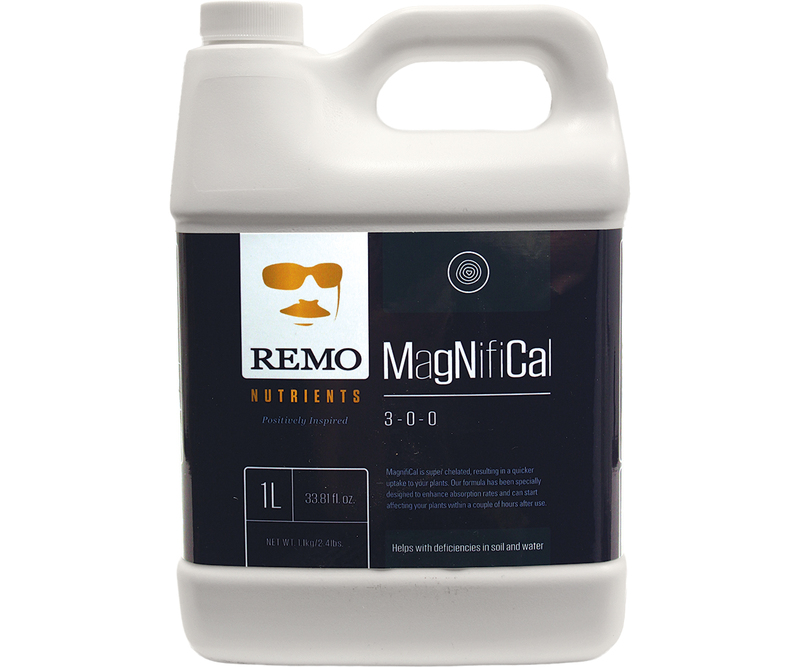 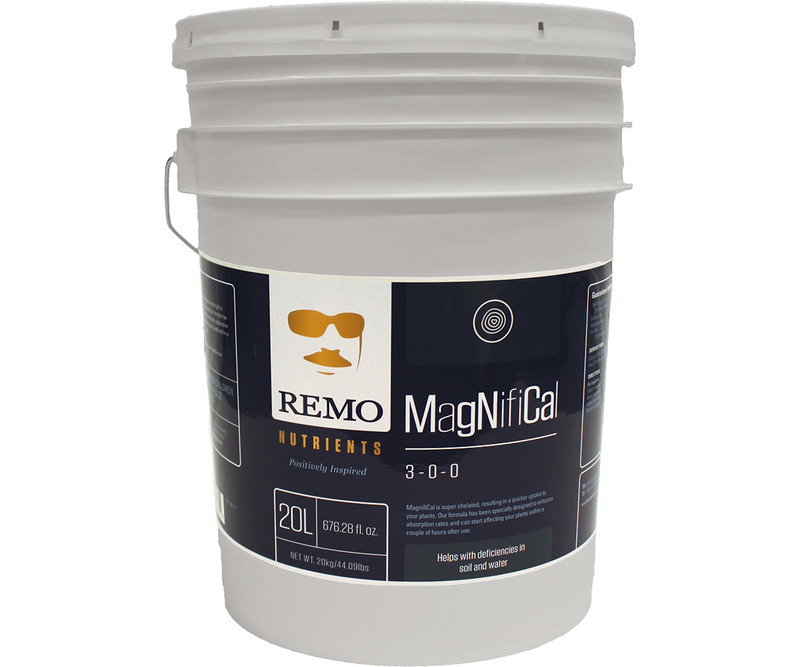 Remo Nutrient’s MagNifiCal is a Cal-Mag supplement.